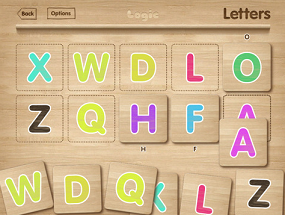 Checkout this Learning and Logic App available for FREE on the iPad. This learning App assists your child in learning basic colors, numbers, shapes, and pictures. Your child can also learn spelling and words in different languages – English, Spanish, French, Russian and Ukrainian. This App is FREE for 3 days only, THIS IS THE FULL APP, NOT LITE. I'm not sure when this App went on sale, so you should download TODAY!! !